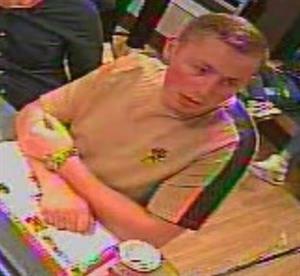 Police officers investigating an assault at a pizza takeaway in Shaftesbury are issuing CCTV images of two people they would like to speak to in connection with the incident. 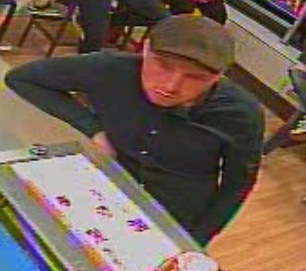 The incident occurred at Domino’s at Ivy Cross at around 7.45pm on Saturday 13 October 2018. 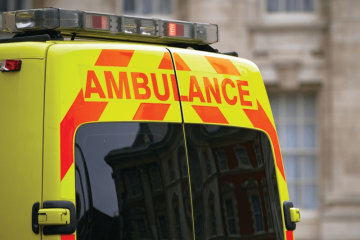 Two men entered the premises and, following a verbal exchange, one of them – who was wearing a beige T-shirt – reportedly walked behind the counter and assaulted a member of staff. The victim, a man aged in his 20s, was pushed into shelving and onto the floor before being kneed in the head and chest area, causing pain and swelling. The second man police want to speak to. The second man, who was wearing a flat cap and dark shirt, then came round the back of the counter and held the suspect back before escorting him out of the premises. Police Constable Sam Burge, of North Dorset police, said: ‘We have been carrying out a number of enquiries to identify those involved in this incident and I am now releasing these CCTV images in the hope that someone will recognise these men. Anyone with information is asked to contact Dorset Police at www.dorset.police.uk, via email 101@dorset.pnn.police.uk or by calling 101, quoting occurrence number 55180166302. Alternatively, contact Crimestoppers anonymously on 0800 555 111 or via www.crimestoppers-uk.org.